The National Transport Authority (NTA) plans to hand down €8.2 million for sustainable-transport projects in the Dublin City Council area under its grants programme this year. That’s a reduction from past years, says Green Party Councillor Ciarán Cuffe. In 2016, for instance, €10.4 million was allocated to projects in Dublin city. While the money is good news for 40 projects, some councillors say it’s not enough. Each year, the council makes submissions for funding to the NTA, said NTA spokesperson Dermot O’Gara, by email. Of the 40 sustainable transport projects funded this year, 35 are fully funded by the NTA, he said. The balance are co-funded by the NTA and the council. 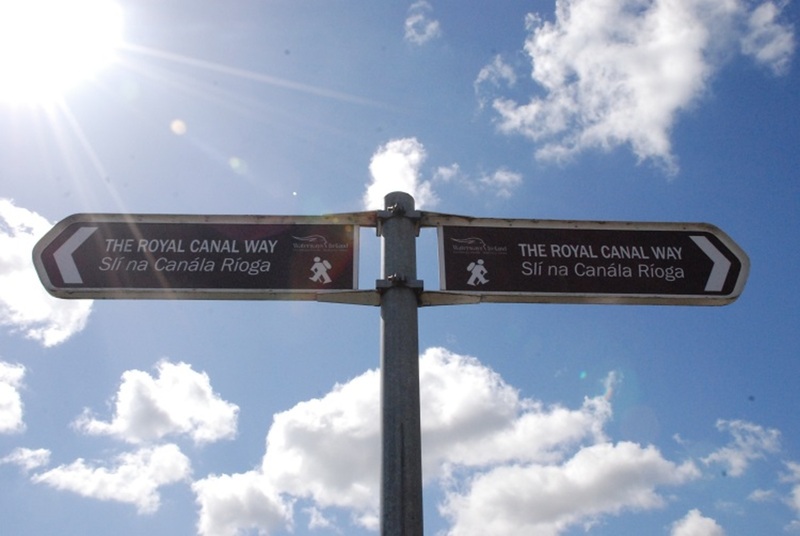 The biggest-ticket item is the Royal Canal cycle route, for which the NTA has granted €1.45 million. Second to that is €1 million for the planned Broadstone Plaza, adjoining DIT’s Grangegorman campus. 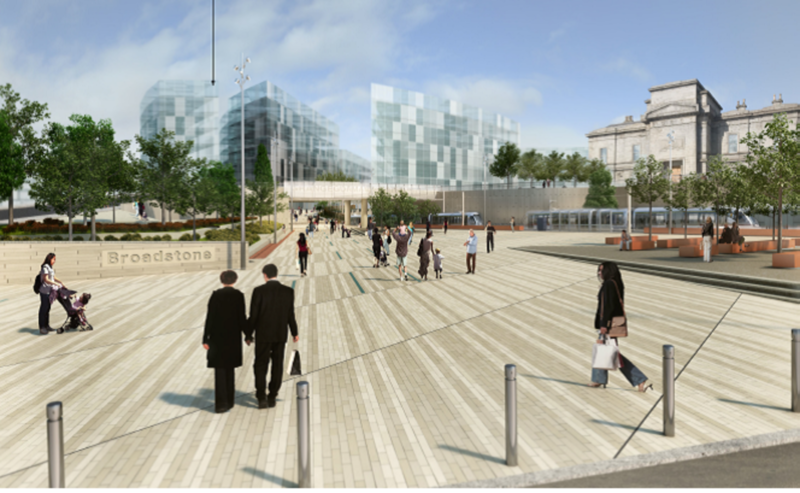 Broadstone Plaza design. 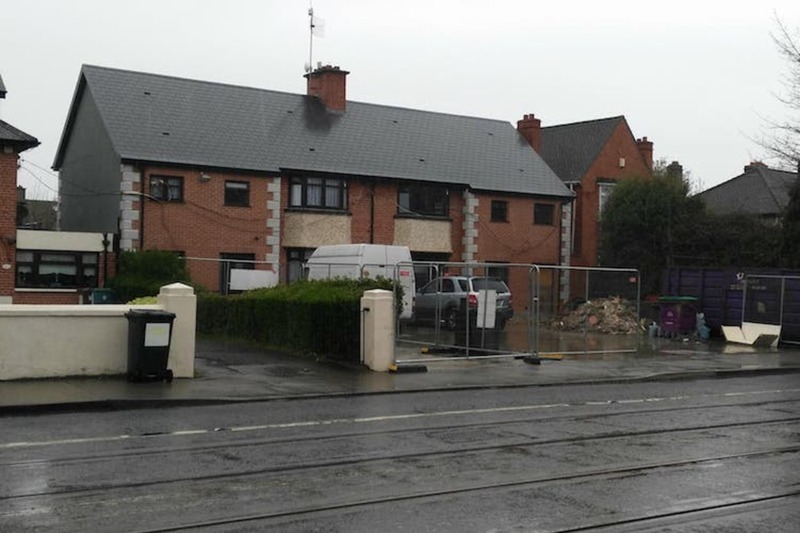 Courtesy of Grangegorman Development Agency. Meanwhile, €500,000 has been earmarked for the proposed Fitzwilliam Cycle Way, which would be buffered from general traffic by rows of parked cars. There’s also €450,000 for high-density cycle parking and €200,000 for a South William Street cycle route. At the lower end of the scale? 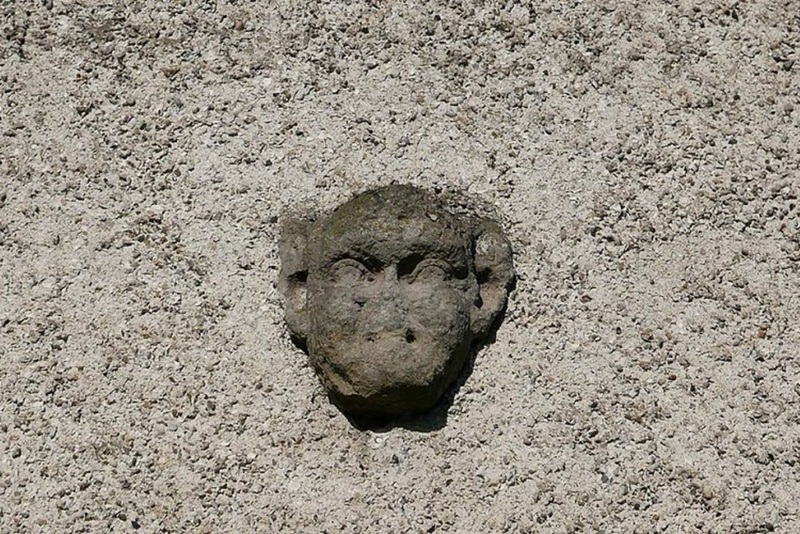 Preliminary studies and surface markings. There is €10,000 for bus markings, as well as cycle markings, for instance. Councillors who sit on the council’s transport committee see these smaller drips of funding as part of a larger problem. It’s great to see bigger sustainable-transport projects getting funded, says the Green Party’s Cuffe, who heads up the council’s transport committee. So, €150,000 in funding for an additional 220 cycle parking stands? That’s positive, he says. “There’s huge demand for that,” says Cuffe. But as some projects move forward, it’s hard to see how others might progress, he says. There simply isn’t enough money coming through. 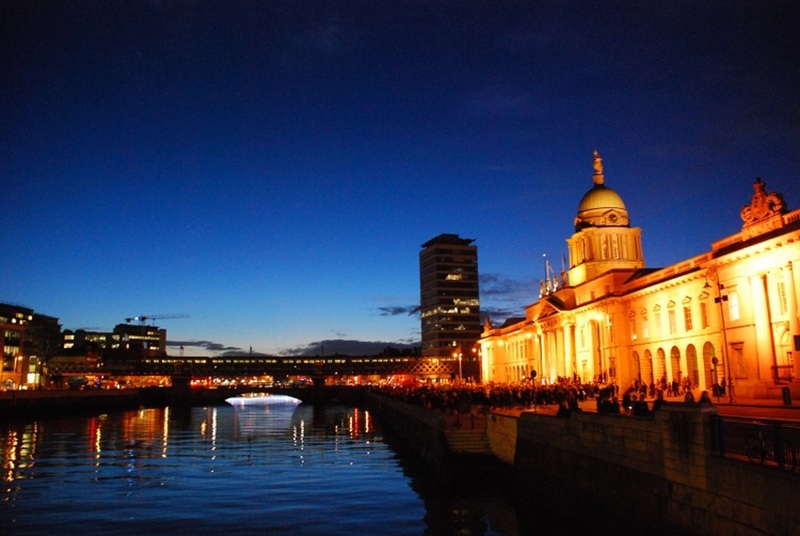 “When we put in a single pedestrian light across one section of the quays it costs us €100,000,” says Cuffe. In absolute coin, Dublin did get more funding in 2018 than other local authorities. Cork city, the second-best-funded in the grants, got €6.5 million out of a total pot of €29 million. Major transport projects within Dublin city are guided and funded by the NTA, says Fine Gael Councillor Paddy Smyth. That can slow projects down, he says. To move the Fitzwilliam Cycle Way along, Smyth had to win support from the council’s transport committee to ask the NTA to do a feasibility study. “My five-year-old son could tell you that putting parking-protected cycle lanes on a street that wide is a total no-brainer, but we still had to go to the NTA to ask them to fund the feasibility study,” he says. At a local level, projects often moved slowly for other reasons, too, says Smyth. Perhaps, the council doesn’t have the staff, or the money, to hand. Colm Ryder of Dublin Cycling Campaign says he is pleased with the €100,000 that has been allocated to the campaign’s “Quick Wins” initiative. Because large-scale projects in Dublin have taken so long – think of the back-to-the-drawing-board Liffey Cycle Route – Dublin Cycling Campaign has pushed for funding for simpler interventions in Dublin’s cycling infrastructure. These involve improving junctions and cyclist safety, says Ryder. As the Green Party’s Cuffe sees it, there needs to be a “better campaign” to put pressure on the minister for transport to commit more funding to sustainable-transport projects. “We’re simply not getting anywhere near the kind of funding required to get the step-change improvements in cycling and pedestrian infrastructure that are needed in Dublin,” he says. Fine Gael’s Smyth is hopeful that more funding will come through now that the Luas extension – which cost €368 million – is complete. This should free up council engineers to focus on walking and cycling. “We now have breathing room,” he says, between the Luas completion and the Metro North project kicking off. “It’s our time to get more funding and to get the [staff],” says Smyth. Independent Councillor Ruairí McGinley, who also sits on the council’s transport committee, agrees. The council’s South East Area Committee recently passed McGinley’s motion to write to Minister for Transport Shane Ross to ask for more funding for walking and cycling. Still, some funding allocations for 2018 are questionable, says Cuffe. 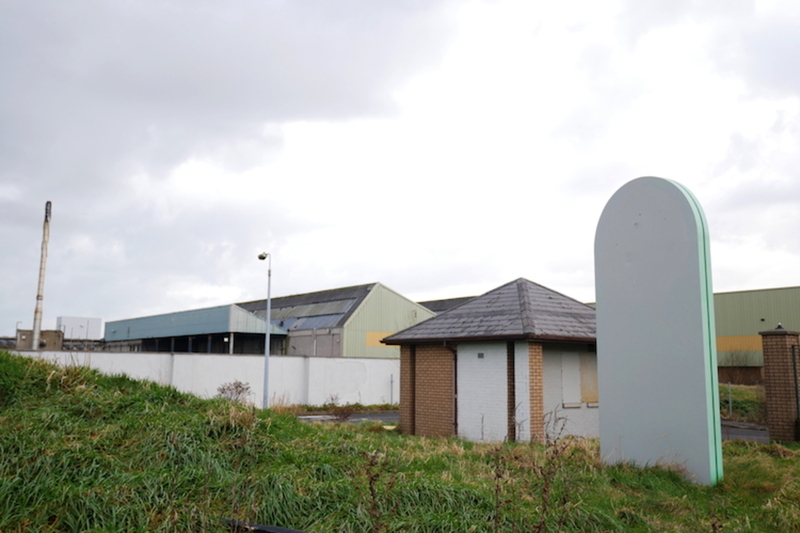 Broadstone Plaza has been allocated €1 million.